Just a brief thanks to my buddies Loki and JB3, along with Bear the Wonder Dog, for allowing me to tag along on their quickie trip to Stone Mountain. I've heard of the place as long as I've been fly fishing, but had never been there. I caught a handful of brookies on, of all things, a white woolly bugger, after everything else had failed. Someday I'll learn to fish a nymph properly. And since I can't fish worth a hoot, I'll just have to enjoy the view. 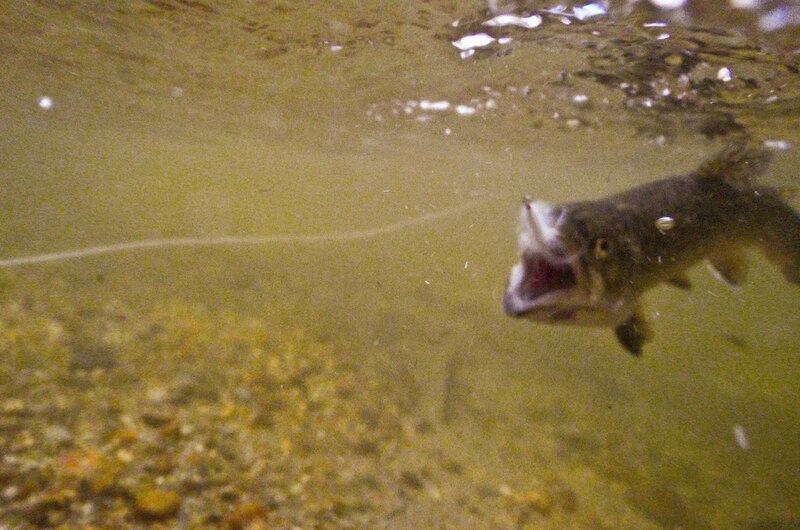 The old cliche that trout don't live in ugly places still holds true. It was a beautiful setting on a surprisingly hot spring day. A fine way to while away a couple of hours. Mmmmmmm..... Nutty Buddies. 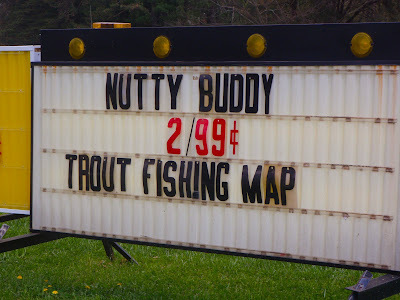 Or did they really mean Nutty Buddy Trout Fishing Maps? One would certainly be useful with some of my fishin' friends. Neat pics and I'd have been all over the nutty buddy, especially at what must be a quite steep discount. I mean I guess it is a big draw in that area when those things go on sale like that...ha! Just found your blog the other night. I have really enjoyed reading your post. Really nice pics on the blog. What type of camera are you using? Great photos. I especially love that first one. As usual, your photos are terrific -- sharp and colorful. 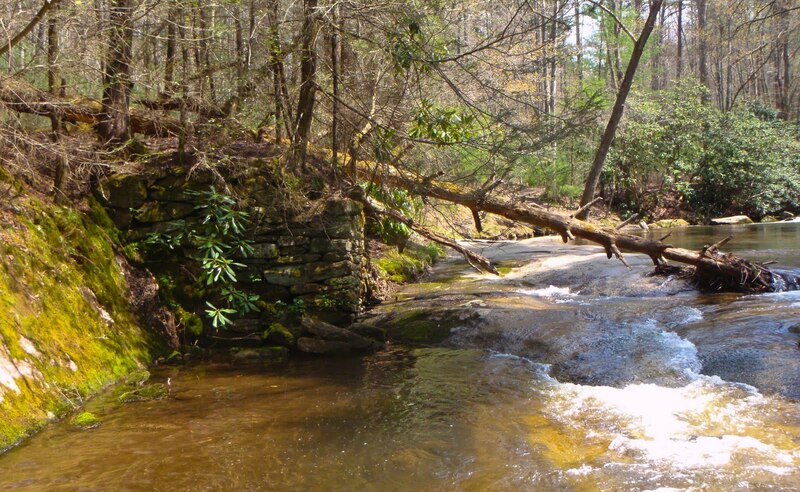 I really like your shot of the stream with the fallen tree -- frame it! I love the woods but the art of fishing has escaped me my entire life. In New Orleans, I'm the guy who finds every last sheepshead! Your blog makes me want to go fishin' but I may need to get a mentor!